The less travelled major waterfalls of Waterfall Country. Videoing at Sgwd Gwladus with a GoPro. 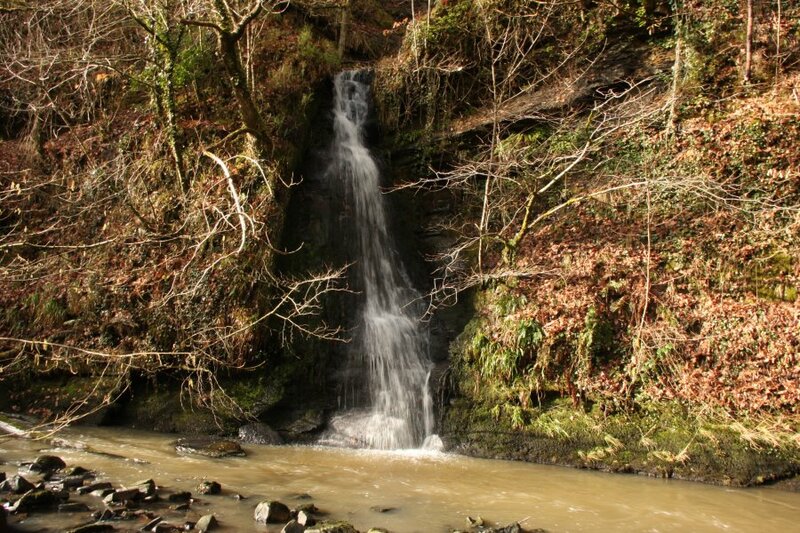 From here, we continue up the Afon Pyrddin, fording the river repeatedly to continue along the poorly defined path. 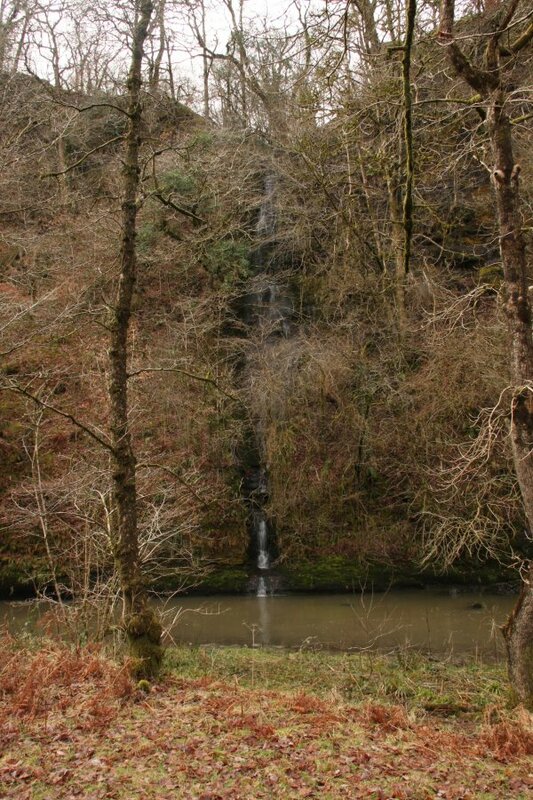 Tributary waterfall on a bend. I have photographed this several times before, but today I wanted to get up to the upper benches. The bottom step, perhaps 5 or 6 metres tall. 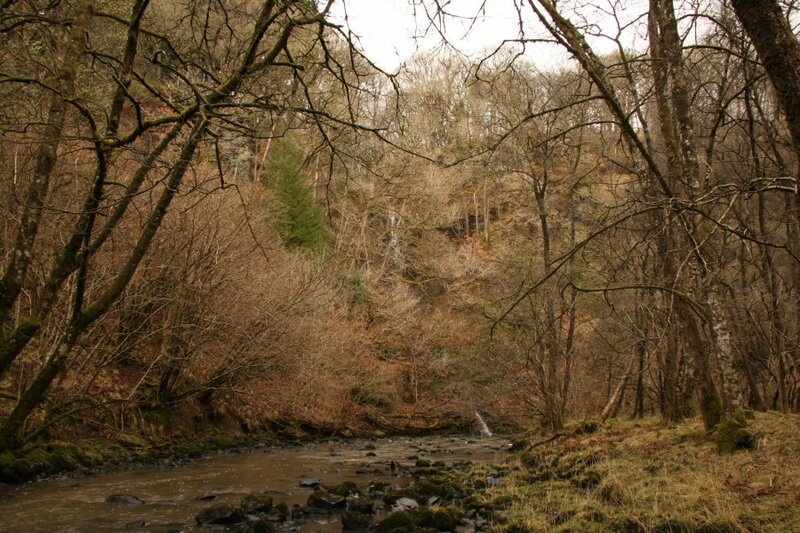 I climbed up the banks upstream of the waterfall, seen on the left here, then backtracked downstream to reach the tributary. The view of the upper step is always obscured, but from up here it can all be seen fairly well. It is perhaps 8-10 metres tall. 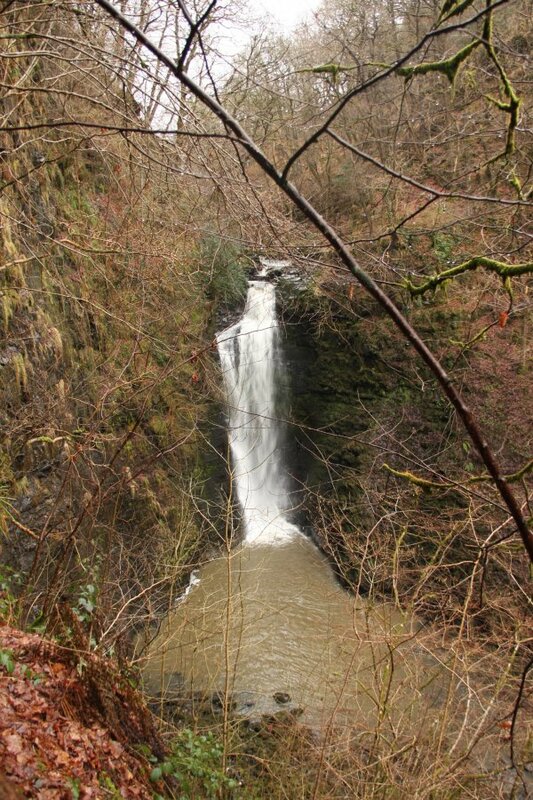 Sgwd Einion Gam, the second tallest single drop waterfall in South Wales at 26 metres, thundering into its canyon. I climbed high up the opposite bank (beneath the camera) to get into another tributary, but I urge others not to follow me. 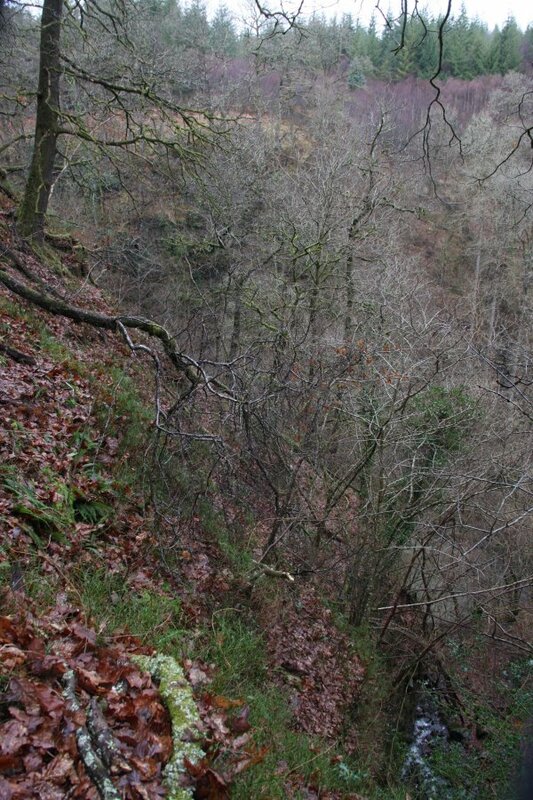 Very steep bank of the tributary. 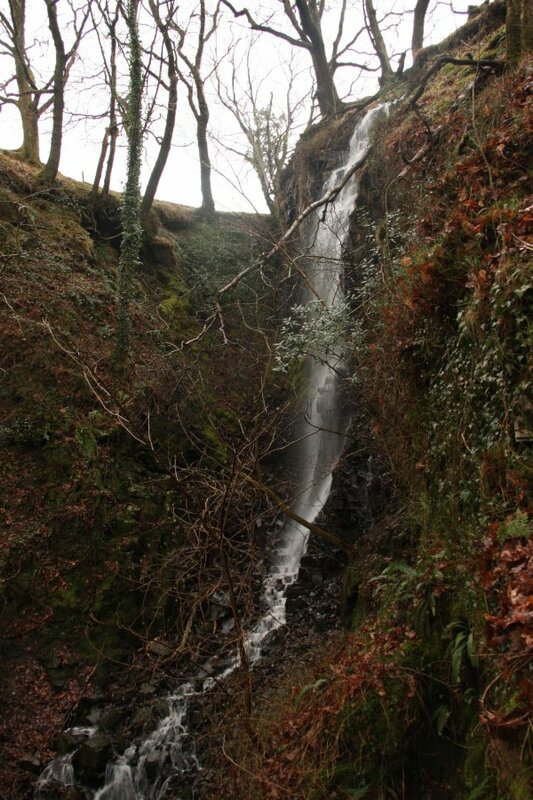 This tributary stream is topped by another 8-10 metre waterfall, just below the fields. 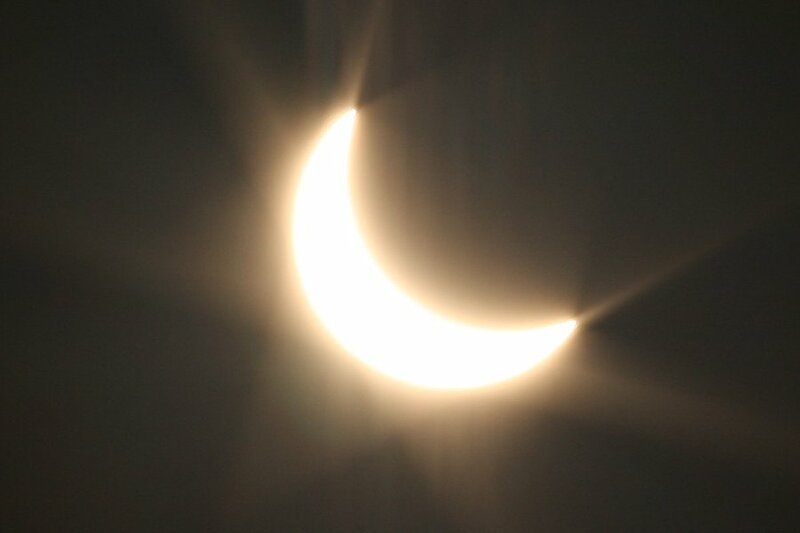 Partial solar eclipse on 22 March 2015. Without having an ND filter, this was too bright for the camera to get a useful picture, instead showing bright lens flares and diffraction patterns. Every speck of dust on the lens and CCD showed up as a dark blob, and needed to be edited out. The darkest point of the partial eclipse. 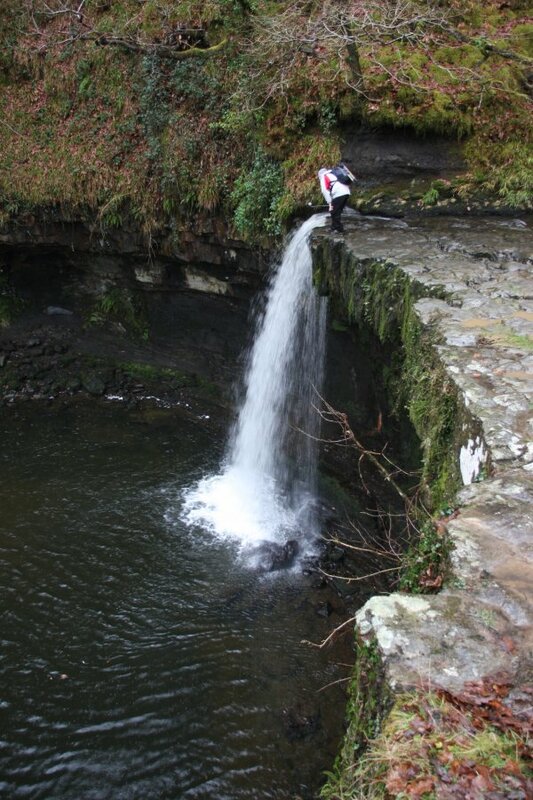 What has this got to do with waterfalls? 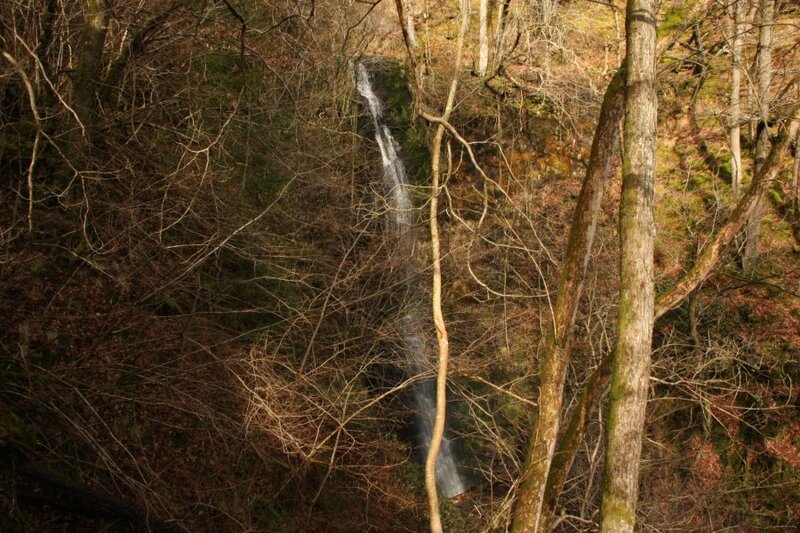 Well ... these pictures are beside the watefall pictures. Or after them. Or something.